Groove, a provider of an online help desk solution designed for small businesses, has created the Small Business Stack—a collection of 34 (at the time of this writing) free trials of SaaS (Software as a Service— applications that you access online in the cloud) offerings that can help your small business grow and operate more efficiently. 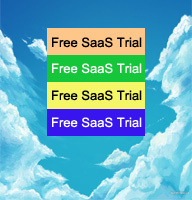 In addition to a free 90 day trial of Groove’s own help desk software, you can access free trials of SaaS apps for sales, marketing, productivity, project management, web design, search optimization, web analytics, and more. Package participants include FreshBooks (accounting), Moz (marketing), KISSmetrics (web analytics), and Grasshopper (phone systems). The free trials run from 30 to 120 days, with most lasting 90 days. Some offer discounts off service after the trial period. Groove claims that the entire “stack” offering provides access to $10,000 in free apps. To access the Small Business Stack, mouse over any one of the apps listed and click the “unlock the stack” button. You will then need to provide your email address to Groove. Once you do, you’ll see a pop-up window asking you to share a link to the stack. You can do so if you like, but you can also simply close the window and begin accessing the software offerings. Just click the software you would like to try, and you will be taken to a page where you can activate your trial. Note that you can’t simply install the entire “stack” at once. You need to activate each offer individually. This is a plus if you want to pick-and-choose only those trial offers that make sense to your small business. Groove claims its goal for the Small Business Stack is to help 5,000 small businesses access the software packages in 2014. The tracking bar on the site claimed 2310 at the time of this writing. Check out the Small Business Stack today. You’re sure to find several apps that will help meet the fast changing needs of your growing small business.